Nicely done! I love quilling because it’s very calming… easy to fall into a zen-like trance while working on a design. 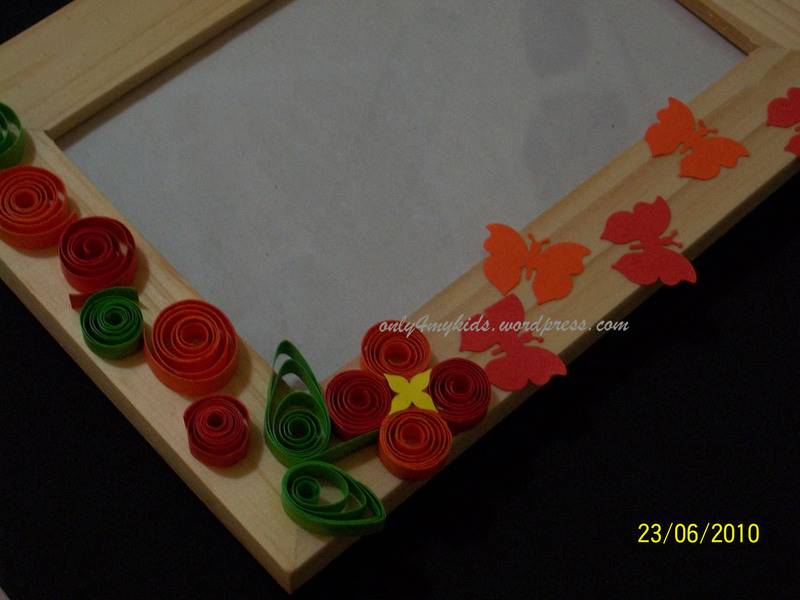 What a cheerful frame! 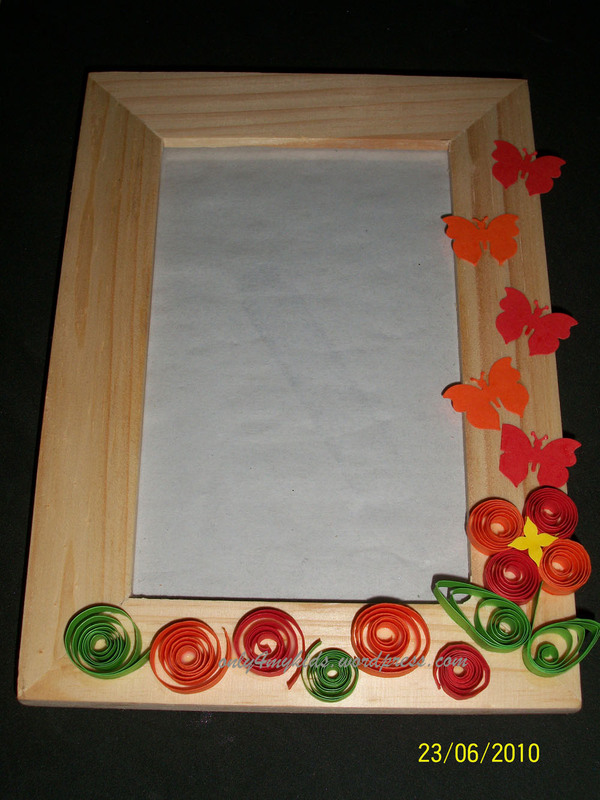 I am so glad that you and your daughter are discovering quilling together.